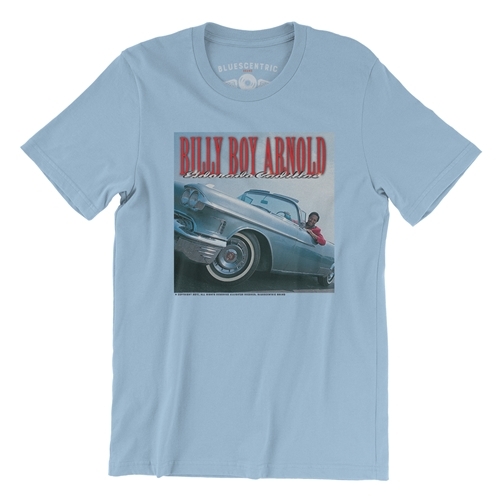 Two men fighting over a woman accidentally started a fire in Twist, Arkansas and almost burned up blues legend B.B. 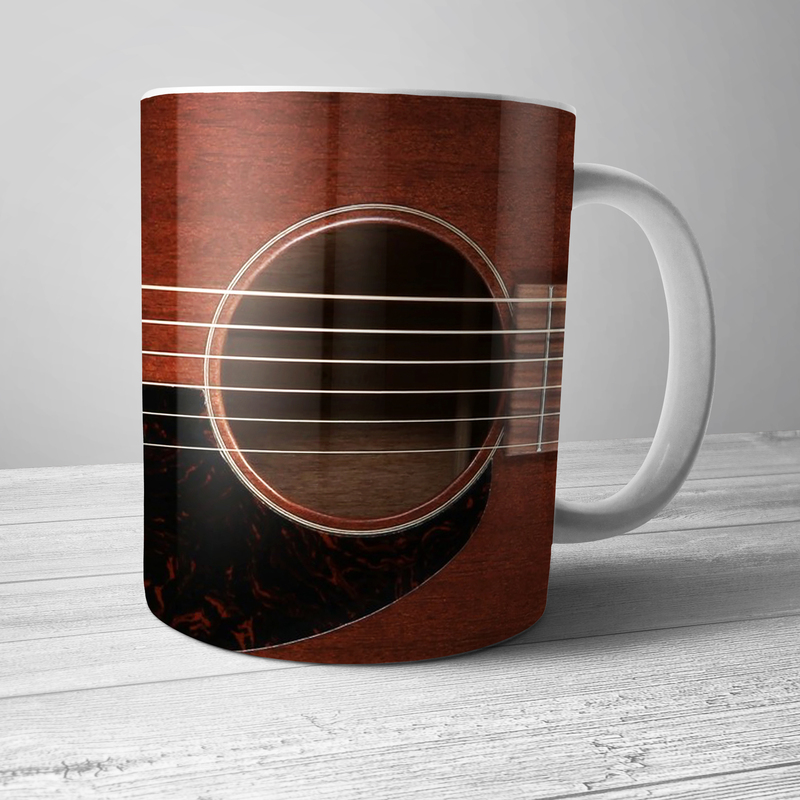 King, who rescued his guitar and named it "Lucille" after the woman. 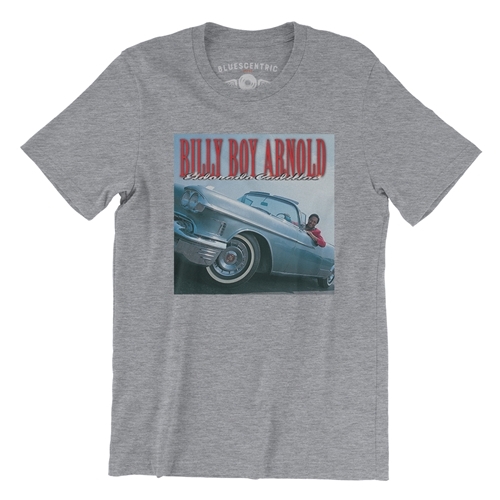 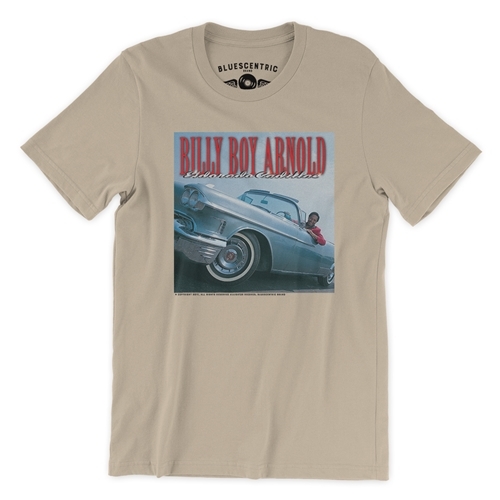 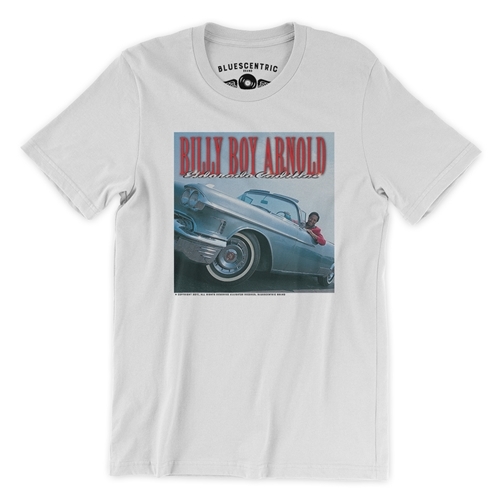 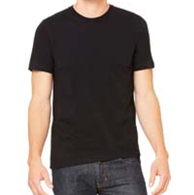 Official Alligator Records Album Tee, Billy Boy Arnold's "ElDorodo Cadillac"